At first glance EDGE HD might look overly simplistic, however it is not! Find out what we thought of this complex puzzle platforming adventure by reading the rest of our review of the game! 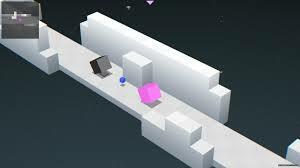 EDGE HD features well over 100 levels of puzzling action that start off easy, but eventually become highly complex and require you to really use your head if you want to beat the later levels. The game also has bonus levels and extended levels to unlock for further challenges! 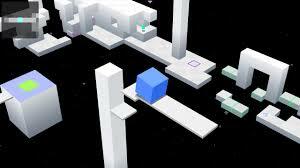 As for the actual gameplay, you basically move a cube across levels while using several tactics to obtain prisms and reach the end of a level. 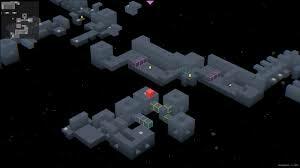 Some levels are admittedly fiendishly difficult, but overall the game is fair with its traps and setups! The controls are simple as you mainly just use the d-pad buttons on the Gamepad to move your cube, but that doesn't detract from the game's challenging levels one bit! EDGE HD has very simplistic 3D graphics that are similar to those used in 90's arcade puzzlers, but it fits the mood of the gameplay quite nicely and the music is also simple yet effective! Be prepared for some nostalgia if you played arcade games back in the 90's! Bottom-Line: With challenging gameplay, easy to learn controls and retro graphics and music that have been upscaled and remastered this is one fun title from Two Tribes! And with it's sheer amount of content and its affordable price it's easily one of the best deals on the Wii U eshop! This game is an absolute masterpiece and worth every penny! Yo, I completed the game (all prisms found in all 109 stages) and now trying to beat some S+ times. The game reminds me of Super Monkey Ball, Kororinpa, or Marble Madness! Same 'get to the goal' gameplay, just with a cube instead of a marble, which despite sounding odd, opens up really cool new mechanics. Despite EDGE and all the games mentioned before having stages with puzzle elements, they are no puzzle games. In Germany we call this genre "Geschicklichkeitsspiel". Translated it means 'skill-based game' or 'dexterity-game'. I don't think America has a name for this genre, so they try to fit it under action platformer or puzzle game. It's great. Cool 8-bit inspired tunes mixing NES, C64, and KORG sounds. If you're into the electronic music of games like Art Style light trax, Cave Story or even EarthBound, you will like some of the tracks in here as well. The day the yellow feathered mascot of Two Tribes has been overthrown by a large cube is now at hand, and this new king sits atop its throne where it belongs! Beautiful review Rukiafan it's a really fun game! EDGE is way better than I was expecting! EDGE is a very fun game that is almost perfect! Sweet review dude. 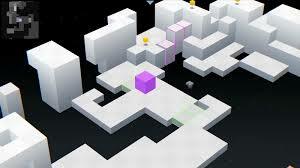 This is a great puzzle game guys and it's only $2 right now! Great game. At $1.99 this was a no brainer impulse purchase and has so many levels that you'll play this for hours at a time! Best two bucks that I have ever spent! Um....nice Review Rukiafan this is such a good game! I just downloaded the 3DS version. I believe both versions contain the same amount of content, don't they?